I don't normally use wipes on an everyday basis. Mostly I use them when I am traveling but still keep a pack at home for those lazy days when I just can't be bothered to wash my face. Normally, my pack gets old and dries out because I don't reach for them often. I normally just grab a tried and true brand at the store and replace as needed. 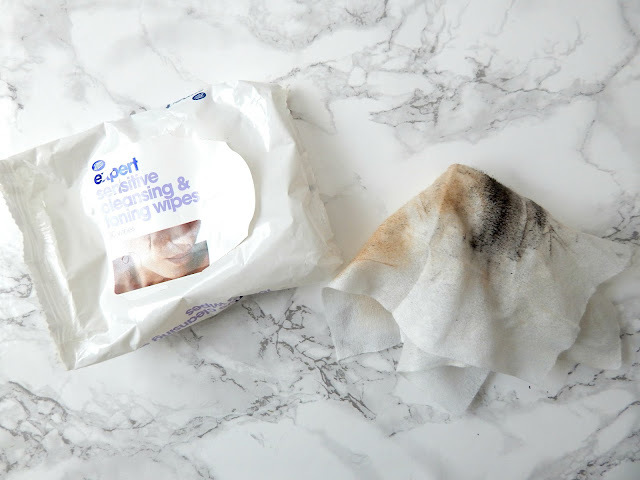 But lately I have been using and loving a lot of skincare items from Boots from both their organic and sensitive skin line that when I saw their cleansing wipes I decided to give them a go. I opened this pack going on at least 2 months. I only have a few left and I can tell you that while they have lost a bit of their moisture, they are not dried out at all and still remove my makeup. These wipes have no scent and are medium saturated. The wipe itself is very soft, cloth-like almost. It's pretty thick actually which I like since the makeup and solution doesn't transfer to my hands. It removes all my face makeup with one wipe. It even does a good job at removing my mascara but since I do wear a lot of it, I might have to go in with a second wipe to get that all off. I have not noticed any breakouts or skin irritation from these wipes and I feel like anyone, especially us gals with super sensitive skin, can get on with these wipes. They are truly so mild and still get the job done. Get to wiping!